Sophie Marlowe AS Media: How did The Amazing Spider-Man makes its money? pick a BLOCKBUSTER from the last 3 years and research HOW it made its money. NOT interested in whether it was a 'good' film, want to know HOW it followed the rules and WHY this meant it was a success. - is the film an original idea, a remake, a sequel or an adaptation (or a combination)? The film is based on the Marvel Comics character Spider-Man and it shares the title of the character's longest- running comic book of the same name. It is a reboot of Sam Raimi's 2002-07 Spiderman trilogy preceding it. 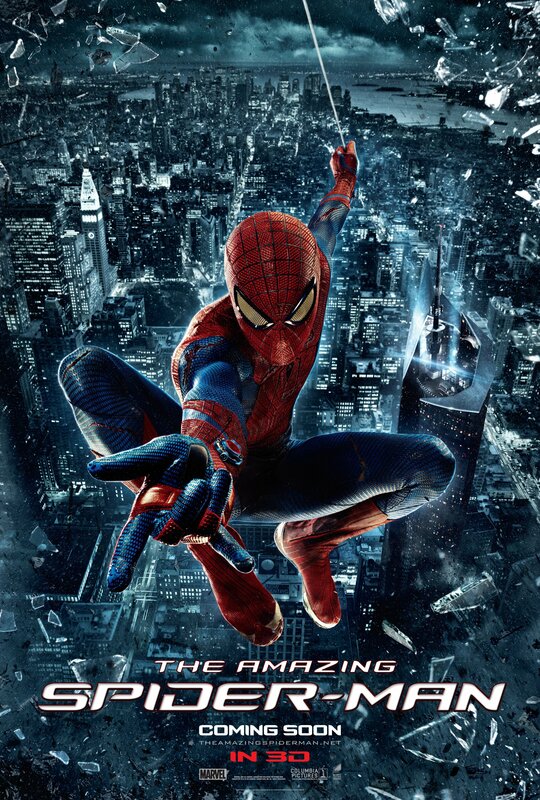 The film is the fourth theatrical Spider-Man film produced by Marvel Entertainment and Columbia Pictures. - who is the director? Marc Webb directed this film. He previously, before the Amazing Spider-Man series had had his directorial film debut with the romantic comedy-drama film (500) Days of Summer. This film was extremely successful, during its full opening weekend it grossed 27 times the cost of its original budget and it became one of the most successful 'sleeper hits' of the year. He also directed many music videos such as Gives You Hell by The All-American Rejects and various Green Day videos. Furthermore, he directed an episode of The Office (USA version) before he directed this film. - which studio(s) are making the film? The studios that produced the film are Columbia Pictures, Marvel Entertainment, Laura Ziskin Productions, Arad Productions, inc. and Matt Tolmach Productions. Columbia Pictures is an American film production company and distribution studio of the Columbia TriStar Motion Picture Group, a division of Sony Pictures Entertainment, a subsidiary of the Japanese conglomerate Sony. The company is one of the leading film studios in the world, and it is a member of the Big Six. Columbia Pictures co-produced the 2002-07 Spiderman films along with Marvel Entertainment and Laura Ziskin Productions. They have co-produced many other films such as Peter Pan, The Holiday and 13 Going on 30 to name a few. Marvel Entertainment are an American entertainment company, it is known for its Marvel Comics subsidiary and from the late 2000s it is known for its film productions from Marvel Studios. The Walt Disney Company acquired the company in 2009. It has since been a limited liability company. Marvel is primarily a part of Disney's Consumer Products segment or it's Studio Entertainment. Their films include projects such as the Thor films and the Iron Man films. - what size budget did it have? $230 million, which is a newsworthy size budget, $100 million above the average of a normal blockbusters budget. - which 'stars' signed up to be in the film? Andrew Garfield, Emma Stone, Rhys Ifans, Denis Leary, Campbell Scott, Irrfan Khan, Martin Sheen, Sally Field and Chris Zylka. Andrew Garfield plays Peter Parker, the lead role, in the film. Before this film his most notable works were Never Let Me Go (as the character Tommy D.) and The Social Network (as the character Eduardo Saverin). 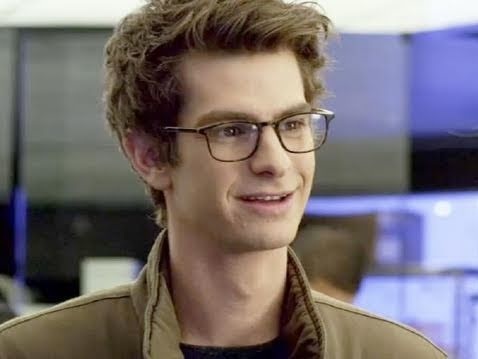 He was definitely an up and coming star before The Amazing Spider-Man, and this may attract people to see the film as they want to know what he does next. For his role in Never Let Me Go he won the Hollywood Film Festival Award for Breakthrough Actor and the Saturn Award for Best Supporting Actor. Many critics praised him, for example Clint O'Connor wrote for Cleveland Magazine praising Garfield, saying that he delivered 'a terrifically anguished performance' in the film. For his role in The Social Network he won the Hollywood Film Festival Award for Breakthrough Actor, the London Film Critics' Circle Award for British Actor in a Supporting Role and the Pheonix Film Critics Society Award for Best Ensemble Acting. He was also praised by critics for his performance in this film, for example Rolling Stone said that Garfield delivered 'a vulnerability that raises the emotional stakes' in the film and they also said to 'keep your eyes on Garfield- he's shatteringly good, the soul of a film that might otherwise be without one.' All of these praises to Garfield would make people interested in his next projects and more likely to go and see them. After the release of Spider-Man 3, the film makers had decided that they were going to make another Spider-Man film (Spider-Man 4) in the 2002-07 series- and had set a release date for it for the 5th of May 2011. However, they decided against this idea in the end, Avi Arad said 'The problem was we didn't have a story that was strong enough and warranted ... another movie. And Sam Raimi ... realized we [didn't] have a good reason to make another one. And between [him] and Tobey and obviously the studio, we all went into it not feeling good about the next story.' Instead, on the 11th January 2010, Marvel Studios and Columbia Pictures announced that they would be rebooting the Spider-Man series along with a new crew and cast. Principal photography began on December 6th 2010 in Los Angeles. St. John Bosco High School, Bellflower (California, USA)- Universal Studios Hollywood, Universal City (California)- U.S Customs House, New York City- Immanuel Presbyterian Church, Los Angeles (California)- Richmond Hill, New York City- Sony Pictures Studios, Culver City (California), Henry Fonda Theater in Hollywood- various locations around San Pedro, South Pasadena and Woodland Hills- and Taft High School, Woodland Hills (Los Angeles, California). Most of the 90-day shoot was spent filming in and around Los Angeles, with 2 weeks of filming in New York City. A Sony Entertainment spokesman (Steve Elzer) said that "[T]here is a comfort level in producing a project of this size and scope on your own backlot ... Basing the film on the lot also makes it easier for producers to interact with Sony's in-house visual effects team, and gives the studios greater control of quality and security." Some location shooting took place in New York. An apartment house at 15 West 81st Street (on Manhattan's Upper West Side) was used as the outside of Gwen Stacy's home, where she lives with her family. The Alexander Hamilton U.S Custom House was used as the exterior the NYPD headquarters. Fuller Place in the Brooklyn area of Windsor Terrace had a row of its houses used for the Forest Hills, Queens area where May and Ben Parker live. A web-swinging stunt scene was shot along the Riverside Drive Viaduct in Harlem. - how was it filmed (using what cameras)? The Amazing Spider-Man was the first Hollywood film to be filmed with the Red Digital Cinema Camera Company's RED Epic camera and was shot in 3-D at 5K resolution. John Schwartzman (cinematographer) felt that the desired 3D effect this film needed would have been impossible without this camera, as you can move the 3D rig in ways that they wanted it to be moved with it. RED Epic cameras are also small so they can fit the cameras on to the rigs and swing them around at a fast pace, so these were the right kind of cameras to use to get the feel of the speed of the film. The climax of the film was filmed in a 1:78:1 aspect ratio as it was to be released in an IMAX DMR form. Other cameras used are the Panavision Primo and Zeiss Ultra Prime Lenses. In post production the creators fused the design of the Lizard with the actor who plays Dr. Curt Connors (who mutates into the Lizard) Rhys Ifans. After this, the actor used motion capture for the Lizard's speaking parts, which Marc Webb found difficult to mix into the character's final version. - what sort of special effects are used? The visual designers brought the Lizard to life by building a digital version of a production design maquette. A man stood in as the Lizard during shooting and performed a lot of the interaction with the other characters. A computer-generated version then replaced the man in post-production. A digital touch-up was used that improved the high school battle scene and the sewer scene with many of Spider-Man's poses and environments that were used in the film. In post production the creators fused the design of the Lizard with the actor who plays Dr. Curt Connors (who mutates into the Lizard) Rhys Ifans. After this, the actor used motion capture for the Lizard's speaking parts, which Marc Webb found difficult to mix into the character's final version. - was 3D added AFTER filming? They shot the film in 3D using 3ality technology. It is the first film to adopt 3ality Digital's TS-5 wireless and handheld beamsplitter mirror rig. This technology made it possible for the film not to have to film in 2D and convert it to 3D afterwards. Marc Webb said this: "Because we're shooting in 3D, I wanted to conceive of certain things very specifically for 3D. There's an experimental component to 3D that's fascinating and we're experimenting with generating that point of view – so you feel what Peter Parker feels, you feel what Spider-Man feels when he's jumping over buildings and over the streets." It was announced that in April 2011 filming had been completed, however some re shooting took place later on that year (in November) in New York City and (in December) in Los Angeles. Action figures were released of the film's version of Spider-Man by various companies such as Hasbro (this was revealed at the July 2011 Comic-Con), Hot Toys, Kaiyodo, Diamond Select Toys (for Marvel Select) and MediCom. Trading cards and a nail polish collection were released by OPI Products. The official Twitter account for this film revealed a scavenger hunt by posting a tweet saying 'Property of Peter Parker... Lost' with the latitude and longitude co-ordinates of direct markets in big US cities. The people who won the scavenger hunt were given the tag name of 'operative' by people waiting at five locations in each city, the people that won then graffitied the Spider-Man logo. These people were then able to view a scene related to the film. The main viral marketing site revealed hints to other sites, for example a photo blog that showed Peter Parker's point of view. Furthermore, an unlocked puzzle on the website revealed words which could then be put together to lead to another website with design sketches on how to build a web-shooter. 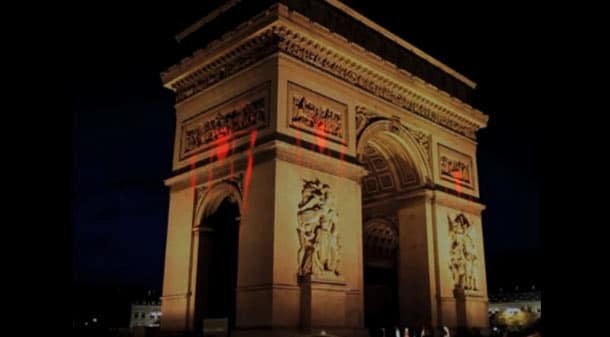 The Spider-Man logo appeared on some of the world's most iconic buildings, on January 8th 2012, for example the Kremlin, Arc de Triomphe, the Colosseum and Sydney Opera House. - Where was the films premier? In Tokyo, Japan on the 13th June 2012.